One day as I was roasting potatoes, I had a sudden burst of inspiration. 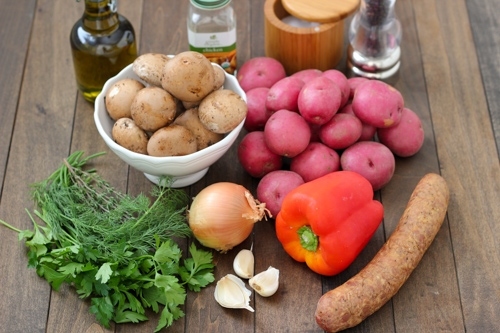 Why not include some other ingredients with the potatoes that would make it into a complete meal? I already add roasted potatoes along to whole Roasted Chicken and also to Roasted Chicken Breasts and it’s one of our favorite dinners, so I knew it would work great. I get lots of recipes ideas throughout the day, during random times, so I quickly jotted it down into my handy dandy notebook:). Yes, I am one of THOSE people. I have lists, notebooks, planners, etc. and I can’t function without them. I wrote down a list of ingredients that I thought would work great in this recipe. I wanted this to be a quick dinner option, so I chose ingredients that would all cook at the same time and complement one another well. We have a local Polish store where they make their own sausages, smoke their meat themselves and have the most incredible multigrain bread. That’s where I stocked up on the sausage for this dinner. 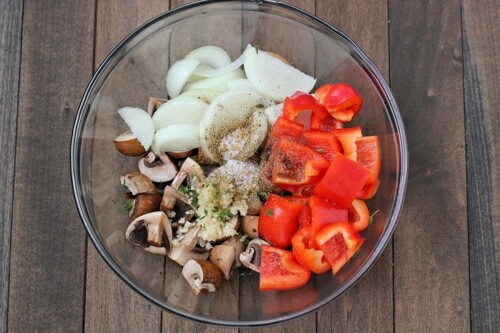 I also added a bell pepper, mushrooms, onions, garlic and herbs. After testing out this recipe a few times, I am finally posting it for all of you. 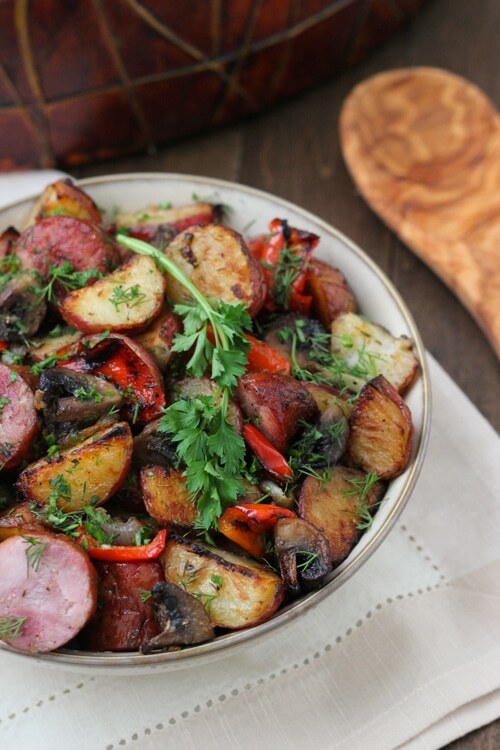 It’s the perfect dinner with lots of hearty autumn flavors. Preheat the oven to 475 degrees Fahrenheit (I used the convection setting on my oven, although if you don’t have that option, it will still work.). Place a large rimmed baking sheet into the oven at the same time, so that it heats up while you are prepping all the ingredients. Scrub the potatoes really well and cut them into 1 – 1 1/2 inch pieces. 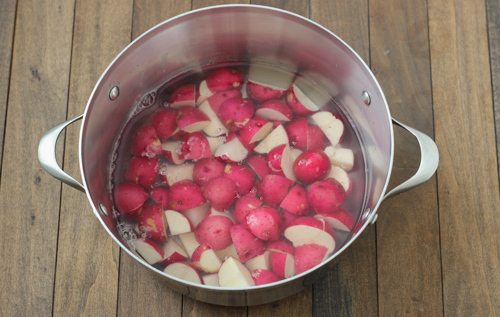 Place them into a medium pot, and fill it with water, so that the water is just barely covering the potatoes. Bring it to a boil, reduce to a simmer and cook for about 5 minutes, covered, just until the potatoes are halfway cooked through. Drain the potatoes. Meanwhile, cut the mushrooms in half or in quarters if they are very large. Slice the onions into thick half circles. Cut the bell pepper into 1 inch pieces, and slice the sausage into 1 inch pieces. You can use any cooked sausage that you like. I buy my sausage from a local Polish store, where they make their own sausage. It is SO delicious. The sausage that I used this time had a really smoky flavor, so it gave that same smoky flavor to the rest of the vegetables. However, you can use any kind of sausage that you prefer. 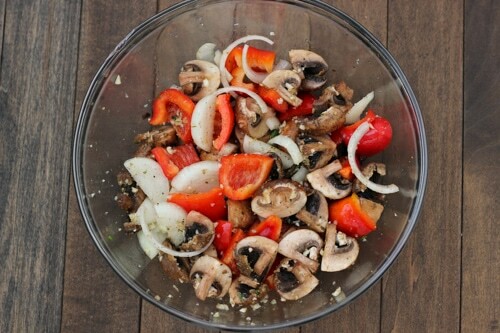 In a large bowl, combine the onion, bell pepper, mushrooms, olive oil, minced garlic cloves, fresh thyme salt, freshly ground black pepper and a mixture of dry herbs. I really like to use a Chicken Seasoning blend of herbs, which consists of garlic, onion, sea salt, sage, rosemary, thyme, oregano, marjoram, black pepper, fennel, coriander, peppermint and bay leaf. You can use any spice blend that you like, or make your own using a combination of any of the herbs that I named in my favorite blend or add any of your own favorites. Here are a few more ideas: parsley, basil, paprika, cayenne pepper, orange or lemon peel, bell pepper. It’s all a matter of your taste preferences, my friends. 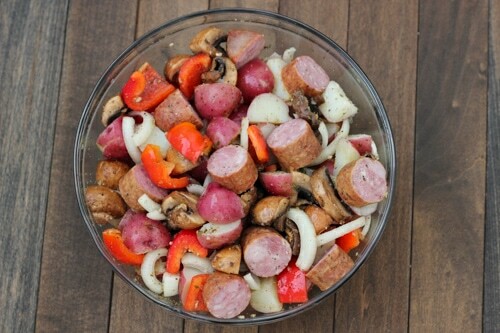 When the potatoes are halfway cooked, gently toss them with the mushroom and pepper mixture, along with the sausage. 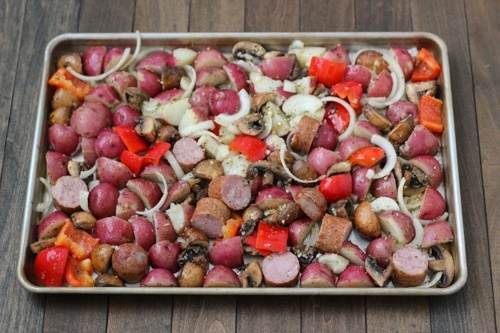 Take out the searingly hot baking sheet from the oven and quickly spread everything out in one layer. Roast in the preheated oven, uncovered, for 20-30 minutes, until the vegetables are all cooked through and golden brown, turning everything over halfway through cooking. You can broil the dish during the last few minutes of cooking to give it extra brownness and a slight char. Garnish with fresh herbs, such as parsley, thyme, chives, dill, etc. Prep all the ingredients, without placing them onto the baking sheet. Store in the refrigerator up to 2 days. When you are ready to serve, preheat the oven with the rimmed baking sheet in it and then proceed with the rest of the steps. Preheat the oven to 475 degrees Fahrenheit (I used the convection setting on my oven, although if you don't have that option, it will still work.). Place a large rimmed baking sheet into the oven at the same time, so that it heats up while you are prepping all the ingredients. Scrub the potatoes really well and cut them into 1 - 1½ inch pieces. 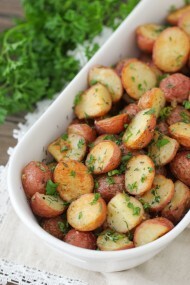 Place them into a medium pot, and fill it with water, so that the water is just barely covering the potatoes. Bring it to a boil, reduce to a simmer and cook for about 5 minutes, covered, just until the potatoes are halfway cooked through. Drain the potatoes. Make Ahead: Prep all the ingredients, without placing them onto the baking sheet. Store in the refrigerator up to 2 days. When you are ready to serve, preheat the oven with the rimmed baking sheet in it and then proceed with the rest of the steps. Yep, it makes the dish. That’s awesome, Yulichka! Aren’t easy dinners just wonderful? Looks very yummy. Will have to make it this week. 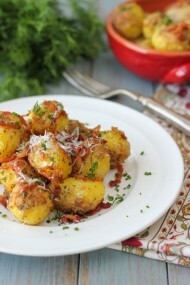 olga- this looks so delish- cant wait to try it! I think it would be an awesome idea if you wrote a post on different types of potatoes. Like, what is the difference between baby red and reg red potatoes other than the size? your wine post is so infromative i love it! Also, when it calles for chopped garlic, can i use pressed garlic? just to save some time? also, where do you get polish kalbasa? I agree with Ilona this recipe is SO DELICIOUS. You can imagine I’ve cooked it more than 10 times since you’ve posted It. Even on Thanksgiving dinner this roasted vegetable were on our table and everyone enjoyed it. I made many different combinations with different kind of vegetable every time was perfect. Even on second and third day it still SO GOOD! We add precooked carrot, Brussels, zucini, cauliflower, broccoli, celery etc. just use the same temperature 475* . I highly recommend to try this recipe. It’s so easy to prepare, fast, healthy, delicious. I give you 5 srars ***** for this recipe. Wow, that’s quite a compliment, Nina. Thank you so much for taking the time to write; I appreciate it. 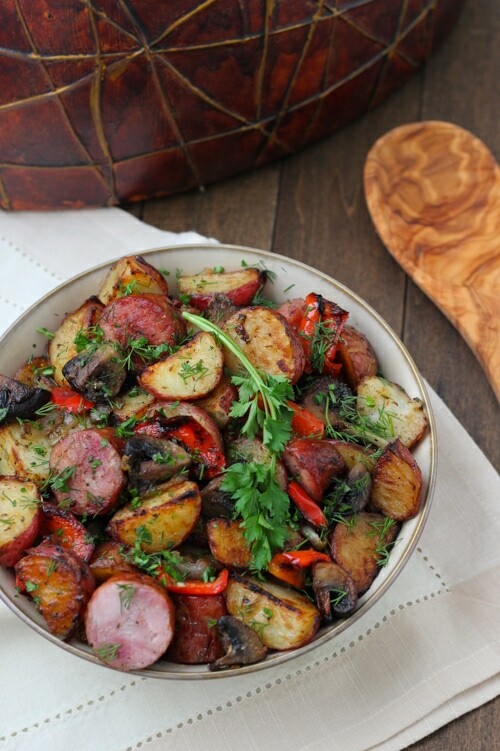 im wondering if it would be ok to use smocked brat instead of sausage? what are your thought on this? thank you so much for this website!!!!!!!! I’ve never personally used it, but I don’t see why not. Let me know how you like it if you try it, Julia. Just out of curiosity, why do you need the baking sheet to be heated up? 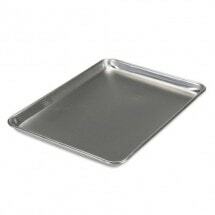 When the baking sheet is really hot, the food will start to sizzle as soon as it hits the baking sheet. 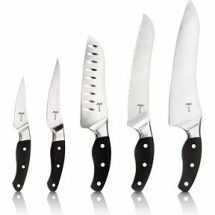 It speeds up the cooking process and helps the ingredients get better browning. It’s kind of like heating up a skillet first before adding your ingredients to it.